1. 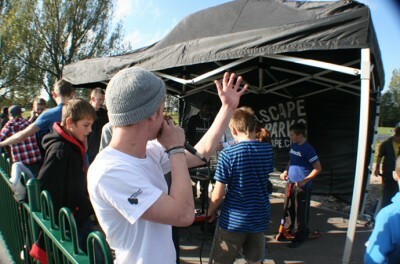 Get in contact with Wheelscape for our 'Get a Skatepark' funding document. Check out our ‘Why Skateparks?’ documentary 'here'. And join our Facebook Fan Page! 2. Form a dedicated ‘user-group’. Include everyone, the potential users as well as, parents, youth workers and the local skate-shop. This is a great way to show councils, residents, police and press that you are organised and committed to your cause. 3. Promote yourselves and create awareness. Make a website, Myspace or Facebook page and get support from as many people as you can. 4. Create even more awareness. Make it a news-worthy item and get the local press involved. You could even make a short film focusing on the benefit it will have to the users and the positive change it will have in the community. 5. Start your campaign. Create a presentation for the councils, police, press and local residents. They may need convincing why you need a skatepark. There are many reasons as to why skateparks... We can help with this, get in touch. 6. Start fund-raising! The ‘Funding Resources' section of this document has some very interesting information and ideas to get you going. 7. Get in touch with Wheelscape. We can come and meet your user-group, youth-workers, community leaders and councillors to discuss potential sites and budgets. We can talk about what you want in a skatepark and give you free designs to promote your ideas and help with fund-raising. 8. Create more awareness! 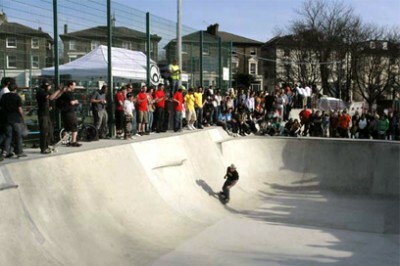 Have a skate comp, get the local skate-shop involved, sponsored skaters and bikers, invite the press and councillors. The more publicity you can get, the more support you will find. 9. Once you have land from the council and finances from funders you need to start turn your initial ideas and sketches into a professional design. 10. Wheelscape are experts at facilitating the community consultation process, design and construction process and are happy to help at any stage of your project. Get in contact and get involved! "This is fantastic news for ‘Cantelocals’. Not only will 1500 locals use the facility, but there will be coaching and training and international jams taking place. The skate park breaks down barriers to participation and we hope that it will help create a more active community." To ensure maximum potential, a user-group should be organised. Local councils can’t usually give all the money so it’s very important to raise the awareness to the community and focus on fund-raising and initial planning. 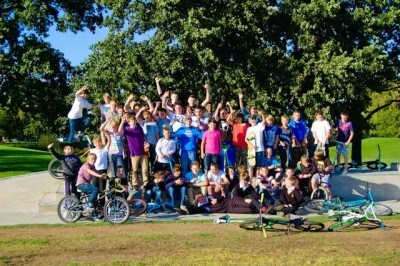 This group should involve as many potential park users as possible, the more people who want a skatepark, the easier and more likely it is going to happen. Getting a group of passionate and determined individuals together is the key. Meeting with local Councilors and MPs is important as this connection usually helps secure land. Media support is also extremely influential. Both funding bodies and the media will want to hear about the positive aspects of creating a skatepark in the community. It’s essential to get users and community leaders to build good relationship and encourage the group to meet regularly and create new ideas. "Thanks to the ‘Cante-locals’, Cantelowes in Camden has a truly fantastic new facility for young people. I know they were really looking forward to the opening and being able to develop activities in the park, such as competitions and training for beginners to experts." There is a growing body of evidence which supports the benefits a skatepark has within the community. Feel free to use bits from the ‘Why Skateparks?’ section of this document when speaking to council or filling out forms, it is important to do your own research too. You will need to create awareness by promoting the fact that a skatepark in your community is a great idea and will make a positive impact. This is also an essential part of the fund-raising strategy as the following suggestions can all be used as direct evidence to support your cause. Most skate-shops act as a hub of the local skate and ride scene. They may even be able to identify the local population with sales figures. Stick them in skate-shops, newsagents, supermarkets, petrol stations, and house and car windows. Getting the word out in your local community is a great way to get as many people on side as possible. If you have or can find the facilities, filming a short documentary to promote the idea is a great way of showing the right people that a skatepark will make a positive difference in your community. Once the film is on the Internet it can be easily emailed as a link to a variety of influential people as direct evidence and promote your cause. 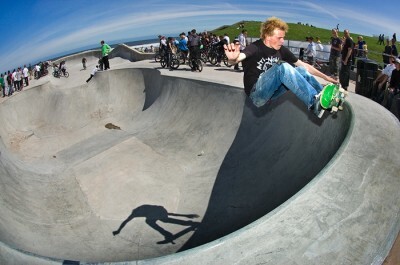 Check out the ‘Hastings Skatepark Appeal’ on You Tube. 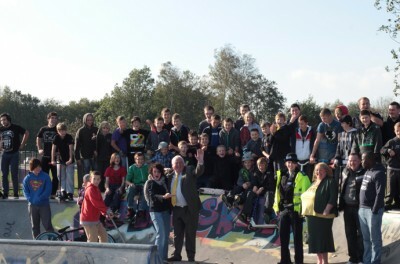 This was an essential part of them securing £200,000 for their skatepark. This is a great way to give your cause a ‘home’. It offers people the chance to catch-up on updates and appropriate contact details if they want to get involved. A Facebook group or Myspace profile is an easy way to show direct evidence for the number of people that support the cause. Why not organise a skate-comp? This is a great way to get the user-group together, create awareness and have fun at the same time. 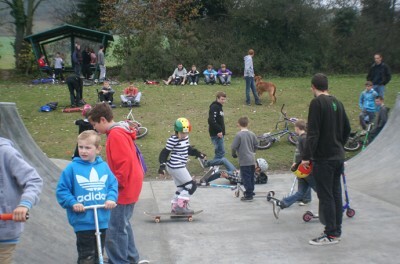 Get involved with the local skate-shop for prizes etc and invite the local newspapers, TV and radio crews. Get the local press involved, they can be incredibly influential. When having meetings, designing posters, organising skate-comps etc. remember to keep evidence by collecting photos, videos, notes, sketches etc as this is the crucial, direct evidence that there is a need for such a facility. Some funding bodies will ask for evidence, the more you have the more impressed they will be with your application.